Science Museum - The Chip's Challenge Wiki - The Chip's Challenge Database that anyone can edit! Once you reveal every wall in this maze, its layout will look just like you found it... from a certain point of view. 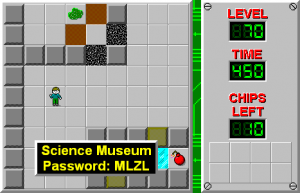 Science Museum is the 70th level in Chip's Challenge Level Pack 4. It was created by J.B. Lewis. 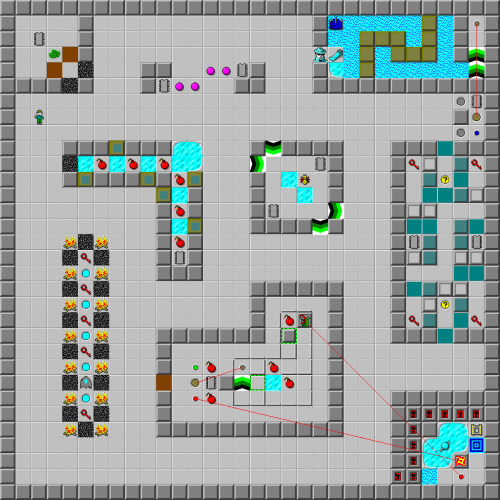 In the original level, all of the walls were clone machines. J.B. changed the level in his CCLP4 submissions set so that the clone machines were replaced with normal walls.